Fiat Group Automobiles UK is enjoying viral success with “The Motherhood’ feat. 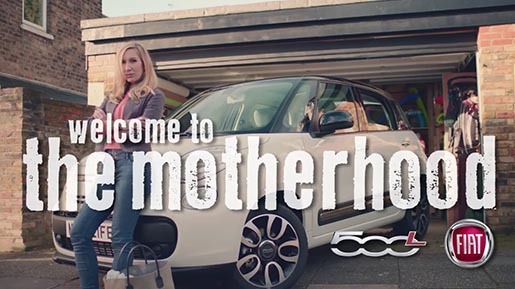 Fiat 500L”, a teaser campaign for the launch of the new Fiat 500L. The campaign is centred on a music video in which a young mum (Rachel Donovan) with two children raps about the reality of life after the arrival of children. The teaser film uses real tales and insights shared by British mums shared about their daily lives and their desire to retain a sense of style and modernity while tackling family challenges. The Motherhood campaign was developed at Krow Communications, London. Filming was produced at Rubber Republic. The video was seeded by Maxus.